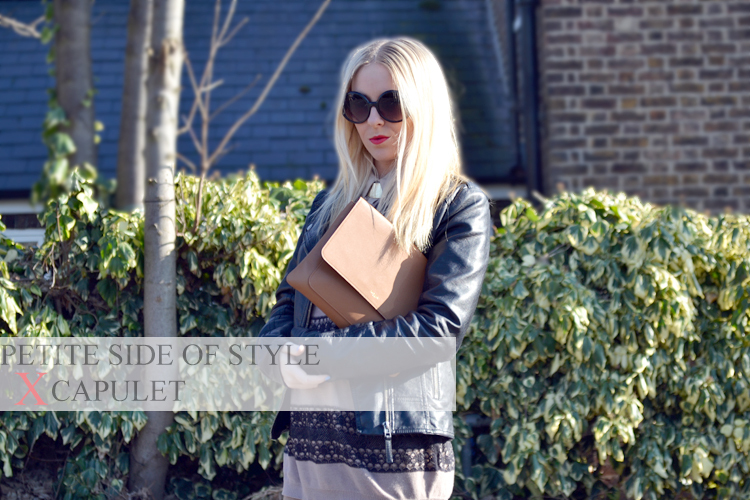 This is the third Capulet London bag to be shown on Petite Side Of Style. 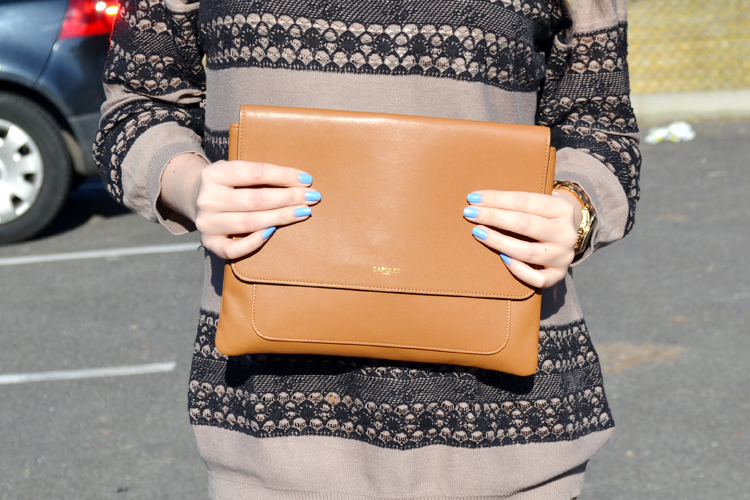 I styled this exact same colour in purple – The Melissa Clutch here. They are such handy clutch’s and so easy to pair with an outfit. They could literally go with anything. If you have not looked at the Capulet London website, please do. You will be lusting. I received my JuJu Jelly shoes today. See my Instagram (joannechristina) for a preview. So many people are dead against them – which makes me love them more. I wore them into Oxford Street today and so many people were looking and commenting on them. I really do want to spend this Summer with a 90’s dedicated wardrobe. Next on my list is some dungarees. It’s been such a long day in London. Aaron and me walked up and down Oxford St looking for a Warehouse as I still had my £250 competition vouchers. I managed to spend almost £200 of them in one visit. A lot of leather was purchased – Leather jacket, pants and denim leather panelled jeans. Your oversized clutch is so cool.. Clutch is so pretty girl!